Xiaomi’s foldable smartphone has been detailed previously as well. Company CEO Lin Bin has already released a teaser video that shows a working prototype of the folding device, with a dual-folding display and chassis and a uniquely adaptive MIUI firmware. 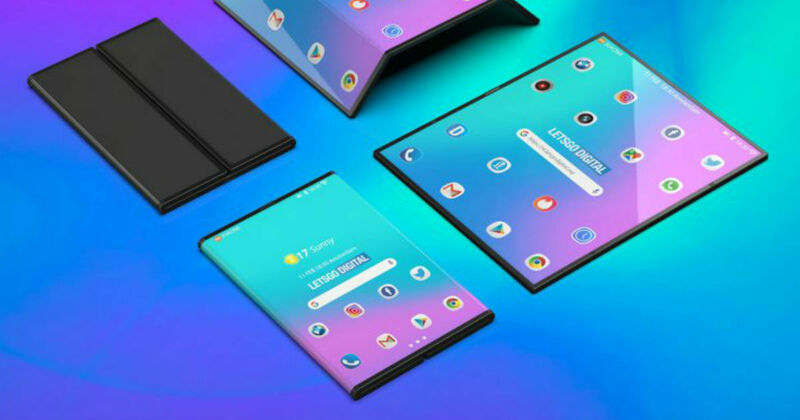 Now, based on these teasers, Let’s Go Digital has created renders of the alleged foldable smartphone and its dual-folding form factor. The renders show how the device opens up to form a tablet. The two sides of the device can then be folded in equivalent proportions to create a smartphone form factor, which is supposedly going to be the ideal form factor for a portable computing device in the future. The device seen in the renders offer, as you would expect, an edge to edge flexible OLED display. Most operations are expected to be based on gestures and touch, since the renders do not highlight many physical buttons on the new chassis. Furthermore, the renders do not show any cameras. The foldable device may get a single, center-offset unit that can be folded to form a front camera module with the screen being used as a viewfinder. Sensors and earpieces will possibly be placed under the display. The report also states that the device may be named ‘Xiaomi Dual Flex’ or ‘Xiaomi MIX Flex’, although the production name may eventually be altered. “The double folding smartphone is the latest innovation by Xiaomi. One of the key components of the phone, the flexible folding screen, is co-developed by Xiaomi and its supply chain partner. Aside from the screen, its design, folding mechanism and MIUI adaptation are developed by us. It will be interesting to know Xiaomi’s eventual development partners — while the display technology is certain to be collaborative, the chassis may have more of Xiaomi’s inputs eventually. With the craze around foldable phones set to take off soon, expect a closer glimpse of the company’s latest R&D efforts.